All military discounts for this event have been claimed and are no longer available. Coordinator registration is no longer available for this event. If you are a student, please click here for registration information. If 5+ staff members from your facility are attending this event, please call (800) 844-8260 to learn more about our special rates. If you are active or retired military personnel, please click here for registration information and select the Military tab. If you would like this educational event brought to your facility, please click here for in-house training options. Are you struggling to effectively treat children and adolescents who may be experiencing behavior disorders, trauma, anxiety, and mood disorders? Daniel J. Siegel, M.D. New York Times bestselling author and world-renowned neuropsychiatrist, has developed the Mindsight approach, which provides a unique understanding of relationships, brain, and the developing mind. Built on decades of synthesis of a range of fields of research to help create the field of Interpersonal Neurobiology, his approach expertly illuminates the science of how the young mind is formed, and provides relational strategies that support brain integration to support healthy development and achieve optimal regulation and lasting change in the child’s or adolescent’s life. Childhood and adolescence are important and distinct periods of brain development. When we understand the similarities and differences across these periods, we can better support the development of children and adolescents. You will take home practical skills for teaching youth how use to the mind to create integration within the body and brain, and within our relationships with people and nature. Equipped with this knowledge and these skills, clinicians, educators, and parents are in a strong position to use science-inspired strategies to support the growth of well-being lives of children and adolescents to help them thrive! If you work with children & adolescents, this is a course you do not want to miss! Define mindsight and the framework of integration, and how it can help lead clients to health and wholeness. Identify three ways in which Mindsight can be taught during childhood and how to incorporate it into your clinical work. Describe the fundamental aspects of the essence of adolescence as it relates to clinical treatment and four steps to teaching Mindsight to adolescent clients. Explore how brain development affects child and teenage behavior and relationships and its clinical implications. Outline the ways in which the Wheel of Awareness can integrate consciousness and be used in childhood and adolescence. Explore five steps to strengthen the monitoring and modifying regulatory functions of the mind for better treatment outcomes. Apply Dr. Siegel’s Interpersonal Neurobiology based strategies, including the Mindsight approach, to help children and adolescents thrive. Dr. Siegel is a clinical professor of psychiatry at the UCLA School of Medicine and the founding co-director of the Mindful Awareness Research Center at UCLA. He is also the Executive Director of the Mindsight Institute which focuses on the development of mindsight, which teaches insight, empathy, and integration in individuals, families and communities. 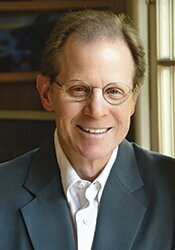 Dr. Siegel received his medical degree from Harvard University and completed his postgraduate medical education at UCLA. He served as a National Institute of Mental Health Research Fellow at UCLA. Dr. Siegel serves as the founding editor for the Norton Professional Series on Interpersonal Neurobiology which contains over seventy textbooks. He has also authored several books, five of which are New York Times bestsellers: Aware: The Science and Practice of Presence, Mind: A Journey to the Heart of Being Human, Brainstorm: The Power and Purpose of the Teenage Brain, and two with Tina Payne Bryson, Ph.D: The Whole-Brain Child and No-Drama Discipline. Financial: Dr. Daniel J. Siegel is a clinical professor at the UCLA School of Medicine. He is the executive director of the Mindsight Institute. He is an author for W.W. Norton publishing and receives royalties. He is an author for Bantam publishing and receives royalties. He is an author for Guilford Press and receives royalties. He is an author for Tarcher/Penguin and receives royalties. He is an author for Random House and receives royalties. He receives a speaking honorarium from PESI, Inc. Non-financial: Dr. Daniel J Siegel has no relevant non-financial relationship to disclose. MINNESOTA COUNSELORS: This activity has been approved by the Minnesota Board of Behavioral Health and Therapy for 6.25 hours of credit for LPCs and LPCCs. NORTH DAKOTA COUNSELORS: This intermediate activity consists of 6.25 clock hours of continuing education instruction. Credit requirements and approvals vary per state board regulations. Please contact your licensing board to determine if they accept programs or providers approved by other national or state licensing boards. A certificate of attendance will be awarded at the end of the program to participants who are in full attendance and who complete the program evaluation. SOUTH DAKOTA COUNSELORS: This intermediate activity consists of 6.25 clock hours of continuing education instruction. Credit requirements and approvals vary per state board regulations. Please contact your licensing board to determine if they accept programs or providers approved by other national or state licensing boards. A certificate of attendance will be awarded at the end of the program to participants who are in full attendance and who complete the program evaluation. WISCONSIN COUNSELORS: This intermediate activity consists of 6.25 clock hours of continuing education instruction. Credit requirements and approvals vary per state board regulations. Please contact your licensing board to determine if they accept programs or providers approved by other national or state licensing boards. A certificate of attendance will be awarded at the end of the program to participants who are in full attendance and who complete the program evaluation. WISCONSIN EDUCATORS: This course may be used toward your Professional Development Plan if it meets your individual goals. Please contact DPI with questions regarding individual PDP’s. This course is 6.25 clock hours. MINNESOTA SUPERINTENDENTS, PRINCIPALS, SUPERVISORS, DIRECTORS OF SPECIAL EDUCATION, DIRECTORS OF COMMUNITY EDUCATION, AND CAREER & TECHNICAL/VOCATIONAL ADMINISTRATORS AND SUPERVISORS: A Request for the Approval of a Continuing Education Program has been submitted to the Minnesota Board of School Administrators. MINNESOTA MARRIAGE & FAMILY THERAPISTS: This course has been approved by the Minnesota Board of Marriage & Family Therapists for 6.25 continuing education credits. NORTH DAKOTA MARRIAGE AND FAMILY THERAPISTS: We’re working to get you credit. Updates will be posted as they become available. WISCONSIN MARRIAGE & FAMILY THERAPISTS: This course has been reviewed and approved by the Wisconsin Association for Marriage and Family Therapy for 6.25 credit hours. This live activity consists of 6.25 clock hours of continuing education instruction. Credit requirements and approvals vary per state board regulations. Please save the course outline and the certificate of completion you receive from this live activity. Contact us for more information on your state board or organization specific filing requirements. American Psychological Association credits are not available. MINNESOTA PSYCHOLOGISTS: This activity has been approved by the Minnesota Board of Psychology for 6.5 continuing education hours. We’re working to get you credit. Updates will be posted as they become available. SOUTH DAKOTA PSYCHOLOGISTS: This live activity consists of 380 minutes of continuing education instruction and is related to the practice of psychology. MINNESOTA SOCIAL WORKERS: PESI, Inc. is an approved provider with the State of Minnesota, Board of Social Work. Provider #: CEP-140. This course has been approved for 6.0 continuing education hours.